NowSMS is available in five different editions designed to meet different customer requirements. NowSMS Cloud Edition: This is a hosted version of the Modem Edition. For a small monthly fee, we provision a NowSMS server, accessible via a unique secure SSL/TLS enabled web address. You configure one or more Android phones to connect to this cloud server. All messages are sent and received via the Android phone(s). No additional service provider subscriptions are required. The Android phone requires a standard SIM card that has been activated with a messaging plan appropriate for your messaging requirements. 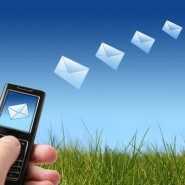 SMS and MMS messages can be sent and received via a web interface or via e-mail. Applications can send and receive SMS and MMS messages using standard protocols, such as HTTP and SMPP, or using API examples for Java, PHP, .NET or command-line interfaces. The NowWAP Gateway (or Proxy) is a powerful WAP Gateway for Browsing and Multimedia Messaging. NowWAP is a WAP Gateway that is designed to meet the needs of WAP 2 and Multimedia applications, especially MMS (Multimedia Messaging Service) and Java downloads. To implement WAP Push and MMS services in conjunction with the NowWAP Proxy, we recommend the use of the Now SMS & MMS Gateway. The Now SMS & MMS Gateway includes a WAP Push Proxy Gateway (PPG) and an Multimedia Messaging Service Centre (MMSC) which compliments the services provided by the NowWAP Proxy. For more information on the NowWAP Gateway, please visit http://www.nowwap.com. The NowSMS Lite Edition is a simplified, lightweight version of the Now SMS & MMS Gateway, designed to send and receive SMS and MMS messages using a single GSM (GRPS/EDGE/3G) modem. The NowSMS Lite Edition allows clients to submit SMS messages to NowSMS for delivery via the GSM modem, using either the HTTP or SMPP protocols. NowSMS Lite also provides examples for submitting SMS messages from Java, PHP and a command line interface. Received SMS messages can be routed to an application program using either HTTP, SMPP, or a command-line interface. The NowSMS Lite Edition allows clients to submit MMS messages for delivery via the GSM modem, using either a proprietary HTTP interface that supports both HTTP GET and POST operations, or using the MM7 protocol. MM7 is a SOAP/XML based protocol that operates over HTTP POST. Additionally, NowSMS Lite provides examples for submitting MMS messages from Java, PHP and a command line interface. Received MMS messages can be routed from NowSMS Lite to an application program using either MM7, an HTTP interface optimised for PHP, or via a file/directory based interface. For more information on NowSMS Lite, please visit http://www.nowsmslite.com.